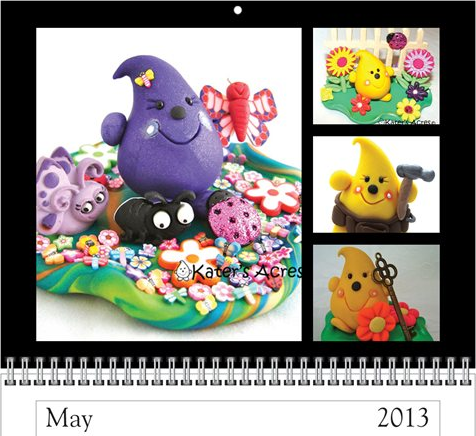 Build Your Brand with Your 2013 Calendar Now - Don't Wait Any Longer! 2013 is Just Around the Corner! AND…..Your next years blogging, products, website, & Etsy seasonal schedules should be made. WHAT?! Hold the brakes, you mean that you haven’t even thought about that yet? Well….take a deep breath….now think about it. Did you come up with anything? It’s important that you plan your next year for your Etsy store, product line, & even your blog right now. So today, that’s exactly what we’re going to talk about. How YOU are going to begin TODAY to plan your 2013 for your Etsy store. You are going to do that by creating your very own, 2013 calendar. Yep…your personalized 2013 calendar. When many stores open up on Etsy, they have no idea where to start. The first thing that you have to do is know what you want to accomplish. I have written about setting goals for your brand in a previous post, so make sure to read that. But the main thing that you need to do is to decide what you want. Are you a hobbyist who just wants to make a little extra? Are you a minor store owner who doesn’t care about the bottom line, but wants to get your work into lots of homes? Or are you trying to “Quit Your Day Job?” You need to decide what kind of a time investment that you are going to have so you know where to begin. Are you waiting to plan your 2013 Etsy Calendar until after Christmas? DON’T! ow.ly/gdcMb Here’s why you need to do this now! Knowing your goals is the single biggest thing that you can do for yourself and for your brand. Beyond that, those people who succeed, succeed by planning. Most people do not throw things together at the last minute and pray that they work. They plan it. They think about it. They “tweak it” until it’s just right. And THEN they launch it, but not before. So most people wonder where to begin. You should be planning everything. If you are not, then chances are that your business will NOT succeed. Once you have seriously sat down, written down your ideas, & come up with a plan, you are ready for the next step. Get a calendar! First buy (or print out) a 2013 calendar for the entire year! For my 2013 planning calendar, I made my own using creations from my past several years and had a calendar custom printed for me…seeing as I have this fabulous new studio and all. However, you can use a calendar from the Dollar General just as easy. Here’s a word to the wise however…The bigger the page to write on, the better. If you missed my past post on the important of having a publishing calendar, make sure you check that out for some valuable tips…but do that after you read this, okay? Okay. It’s not okay to “not know” what kinds of content you are going to publish. You need to have some idea or focus on your blog or website or people will lost interest in you and in your product. You have to have something that fits not only your brand, but who you are as a person and what your goals are as a business. Take that same calendar and fill it up with content publishing ideas. For example, perhaps every first Friday of the month you will feature another Etsy artist. Add that to your calendar. Adding it to your calendar makes it seem more important to you and you will be more likely to follow a publishing schedule that stares at you from across the room all day. It doesn’t matter how often you plan to blog, you need to do it consistently. I blog 4-5 days a week…every week. If you only blog on the first of the month, great…but keep that up. It is consistency that will build a following and interest in your website or blog. Think of your blog or website just like your Etsy store. What generates traffic (both new and old)? Relisting items and listing new items every day. Slowly but surely traffic will begin to flow. If you went to your favorite clothing store and every time you went in they had the same clothes, would you keep going back? Most likely you wouldn’t. The same is true of your blog or website. Create interest and drive traffic by getting a look (we call this a Brand), creating consistency, and publishing only relevant content. What’s next? It’s time for you to fill in the blanks with all those sales that Etsy sponsors, all the sales that you are running, and any special coupon offers that you have planned throughout the year. Jot them down in your calendar and you are almost ready. Now…here’s my challenge to each of you. Quickly, while you are still motivated, go grab a calendar (any will do for right now). Take just ONE HOUR and fill your calendar up with the things we have talked about above. Just ONE hour. See how far you get. If you are inspired, you could knock out the entire year of 2013! But here’s the hard part…over the next week, this calendar and the quick ideas you’ve jotted down will pop into your head from time to time. When this happens…run to your calendar and write it down! Don’t procrastinate, just do it! Then in exactly ONE WEEK from the time you created your calendar, take another hour and see what you think. Are your goals & ideas too lofty? Not lofty enough? Too easy? Too hard? Only you know yourself best, so only you can be that judge. Great post, very informative and great way to get us organized. thank you for sharing. Katie, you’re so right! My first year (and a half) I wanted to do it all! Now, with some perspective, it’s so much easier to plan the year in advance. I’m pleased with how I’ve stuck to my marketing calendar this year, and I hope to keep it up for another year! What a great idea to plot it all out on a calendar. Still, I feel tired just reading, lol. I must, I must, I must get onto this! What? I don’t get a break after the holiday rush? You’re a hard taskmaster, but you always have great advice for my shop! Thank you!